This autumn London’s Saatchi gallery will play host to a retrospective exhibition on iconic fashion house Chanel. Curated by the Parisian label’s creative director Karl Lagerfeld, Mademoiselle Privé will explore the creativity, inspiration and innovation that drove founder Coco Chanel and continues to make Chanel an internationally desirable designer brand to this day. The exhibition will put particular focus on Chanel's Haute Couture creations, the re-edition of the high jewellery “Bijoux de Diamants” collection, which was originally created in 1932, and Chanel No 5 - undoubtedly one of the most famous perfumes in history. Famous for popularising tanned skin and bringing the Breton stripe top firmly into the fashion sphere, Mademoiselle Chanel’s connection to the sea is strong. 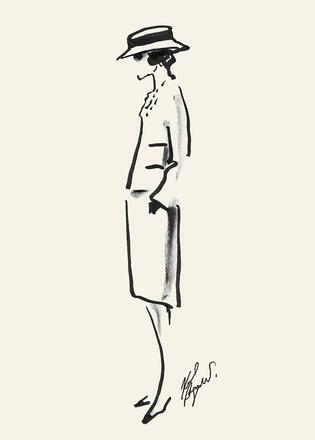 It was the sailors in Deauville harbour, close to her first store, which inspired many of Chanel’s early collections and traditional sailing stripes, fabrics and details have been signatures of the house ever since. So enduring is this connection that Karl Lagerfeld recently held a #CruiseWithKarl party on a superyacht in New York harbour to celebrate the Chanel Metiers d’Art collection. Chanel’s Cruise collections – originally created to be worn on board yachts and cruise liners during the summer months – are also a key highlight of the annual fashion calendar. Mademoiselle Privé is on at the Saatchi gallery, London from 13 October – 1 November 2015. Visit mademoiselleprive.chanel.com for more information.